Call us to Book your Appointment Now! We are committed to helping you maintain your oral health as an integral part of your overall health and wellness. 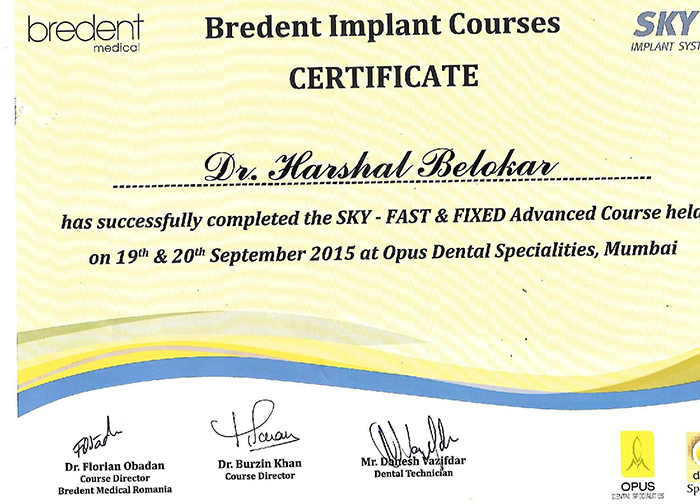 We are an ISO certified multi-specialty clinic with a team of experienced and expert doctors offering specialized treatment in dental care including Prostho-Aesthetics, Cosmetic dental surgery with lamination and implant procedures, Oro-maxillofacial surgeries, advanced endodontic and orthodontic procedures - all under one roof. 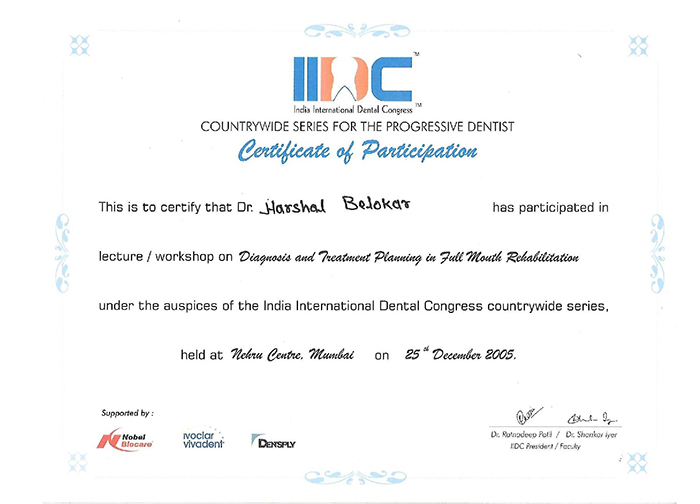 "Dr.Belokar treated me with a root canal. It was not at all painful as I had imagined. I would really recommend him for any of the dental work." 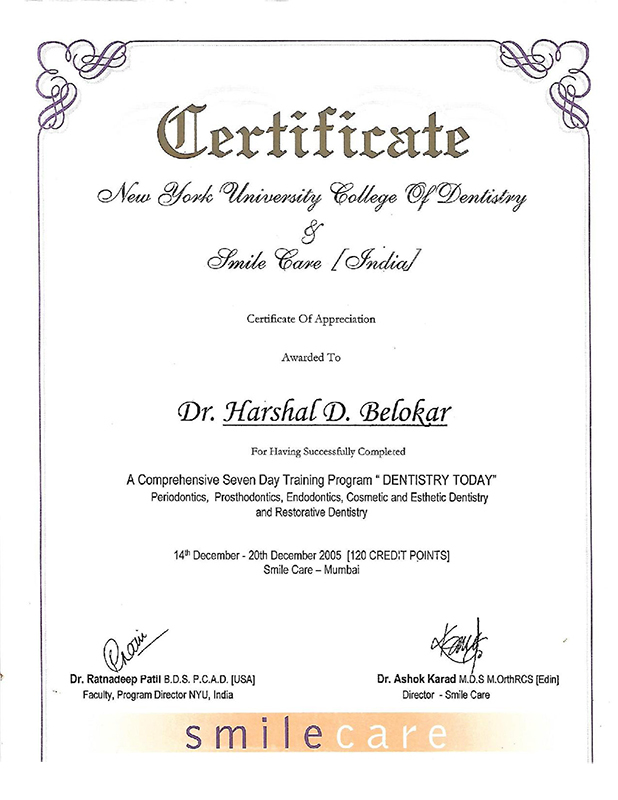 "I visited the Dr. Belokar Dental Clinic for root canal and was completely impressed by the professional approach, dedication and passion of Dr. Harshal, Dr. Seema and his team. " "Visited for wisdom teeth extraction. 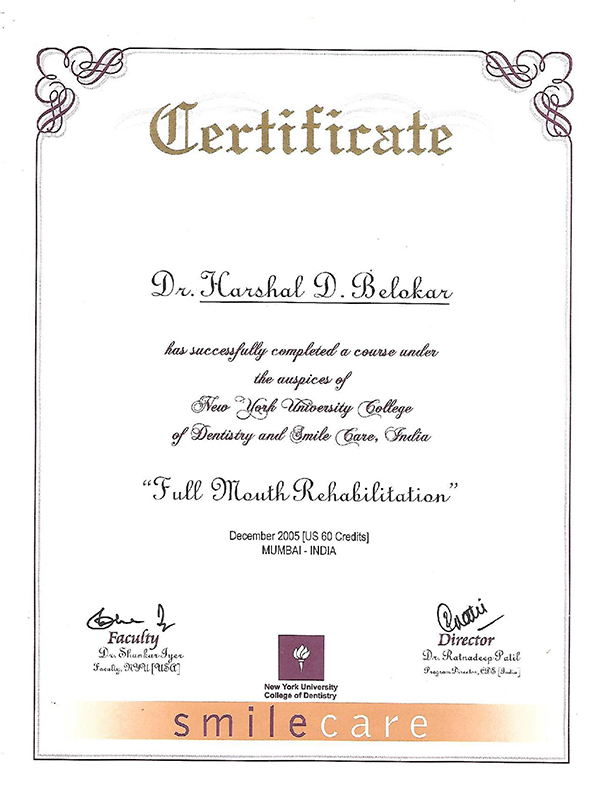 Excellent treatment by Dr. Harshal Belokar. He is very patient and friendly and kept checking for any sought of problems through calls and texts post surgery also." Your overall well being is very important to us. Our Doctors and staff are highly trained to recognize and deal with a variety of medical conditions which may compromise or exacerbate our patients’ dental health or their ability to tolerate treatment. Not only are we focused on the function and beauty and of your smile, we’re also concerned about your health. One of the goals at Dr Belokar's Dental Clinic is to try to set our fees as reasonable as possible to allow our patients to afford their much-needed treatment. 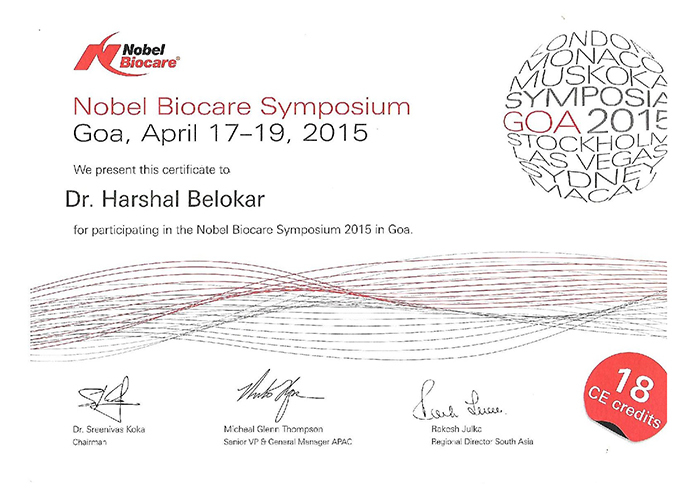 Compromising quality is not an option. 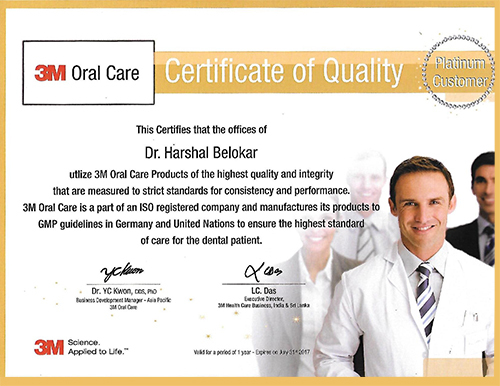 Dr Belokar's Dental Clinic is fully committed to high standards and provides state of the art diagnosis and dental treatment utilizing the best-trained staff, highest quality materials and high-tech diagnostic and treatment instrumentation for best possible results. We offer patients a comprehensive list of general and restorative dental services. As a practice, we are true believers that preventive care and education are the keys to optimal dental health. We strive to provide “dental health care” vs. “disease care”. That’s why we focus on thorough exams – checking the overall health of your teeth and gums, performing various checkups, and taking x-rays when necessary. Our top-rated dental team is never cranky – always friendly and helpful. Our entire team is dedicated to providing you with excellent, personalized care and service to make your visits as comfortable and pleasant as possible.